"Before. Now. 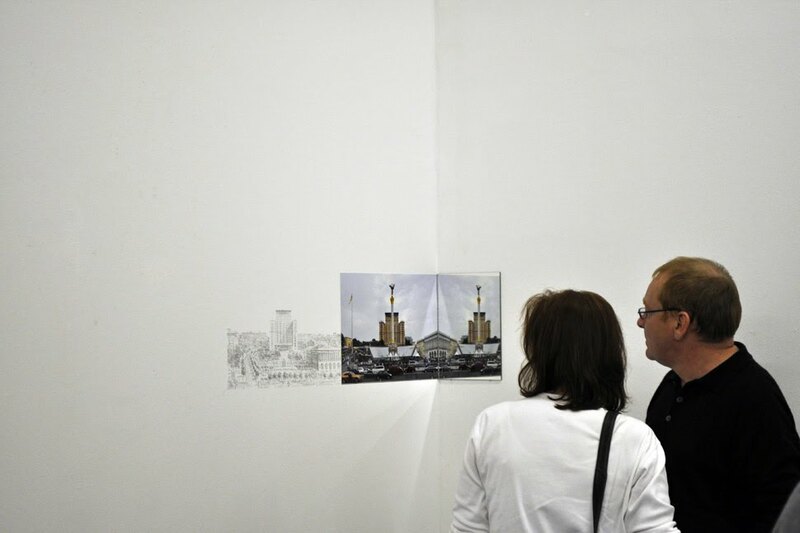 Further" is the title of a work by Nakonechna that is based on the history of Ukraine's Central Square. It was altered after the dissollution of the Soviet Union and it was renamed Independence Square. The two parts of the installation - illustration and the photography - are presented on one end and a third element, a mirror, on another side. The position of the mirror gives viewers the opportunity to see the two guises of the square at one time. 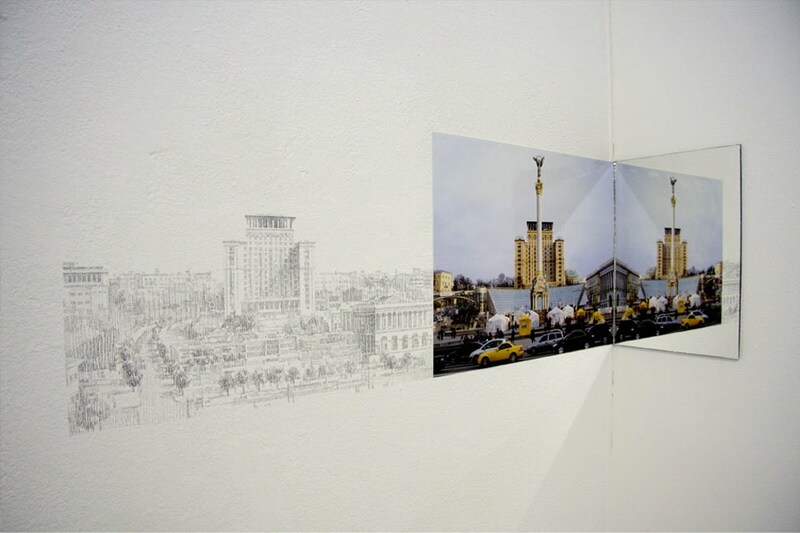 The drawing shows the square after the​Lenin monument was demolished, and the current appearance of the Ukrainian Main Square with the new monument and a huge underground shopping mall is depicted on the photography.